Dr. Alexandre has been working at the Clarkson Village Animal Hospital since 2012, primarily during the emergency hours. She enjoys the opportunity to meet and develop relationships with the wonderful clients and pets in Clarkson Village. Becoming a veterinarian was Dr. Alexandre’s childhood dream; that dream has now turned into a career that she is passionate about and enjoys very much. 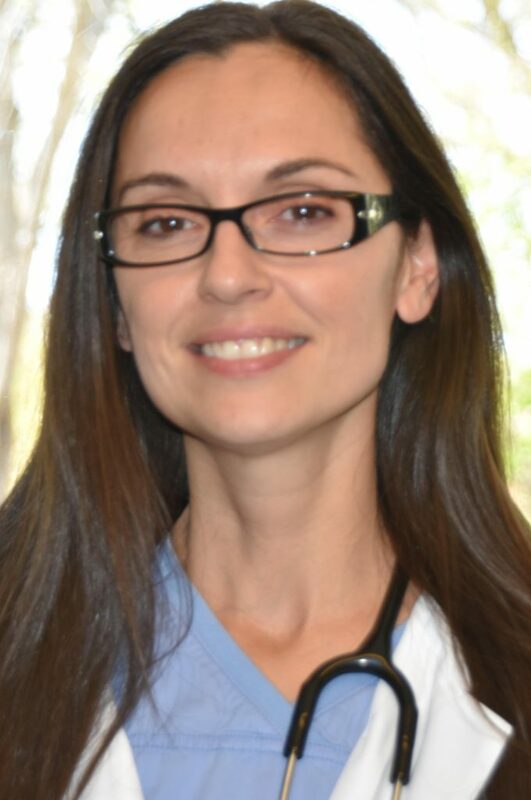 When she isn’t tending to the needs of her furry patients, Dr. Alexandre is home with her four rambunctious children and two equally energetic kitties. One of her boys loves animals so much, she’s convinced he is going to be a veterinarian someday too! She shares her life with her husband of eight years, and a friend since high school. In her spare time, Dr. Alexandre enjoys reading and painting. Recently she started attending Zumba classes and even though, self admittedly, she is not a dancer, she has been enjoying it immensely.